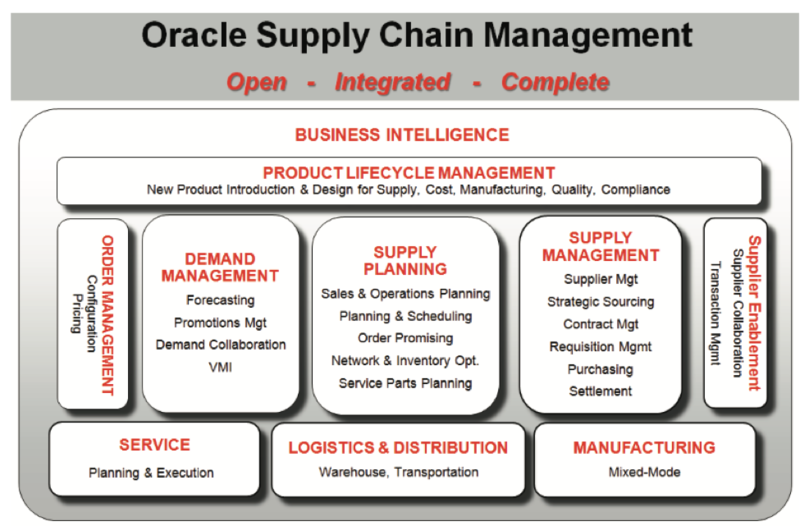 Harness the power of Oracle’s Supply Chain with SkyBridge Global. Our Global Supply Chain Solution Services are geared to transform the supply chain to meet the challenges, drive operational excellence, and gain a competitive edge. We align EBS to your business needs and processes, so you can quickly increase supply chain efficiency and gain seamless global visibility. SkyBridge has helped leading organizations automate the entire supply chain with demand planning, procurement planning and distribution planning. Our solutions provide comprehensive dashboards, reports and KPIs for the continuous improvement of the organization, planning based on numerous alternates and substitutes, decrease in planning and forecasting cycle time, and increased transparency across the organization with consensus planning.